1. 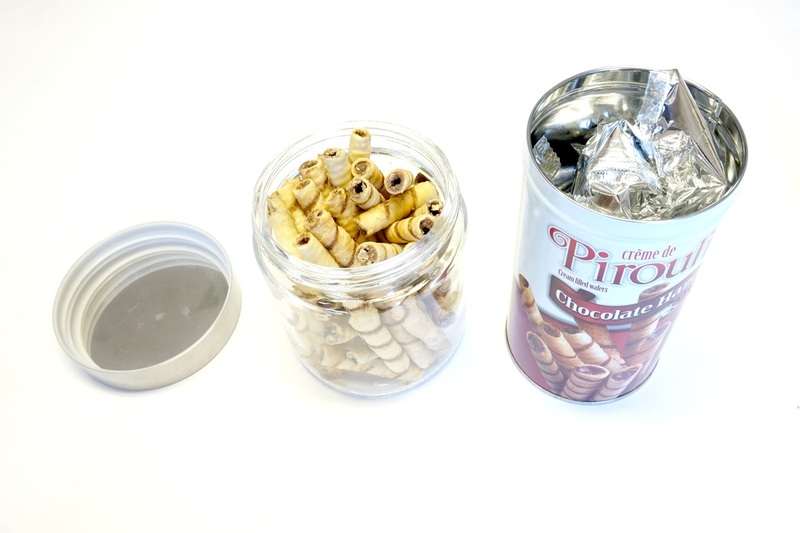 Transfer the wafer sticks from its original container to a jar that is shorter than the sticks. 2. 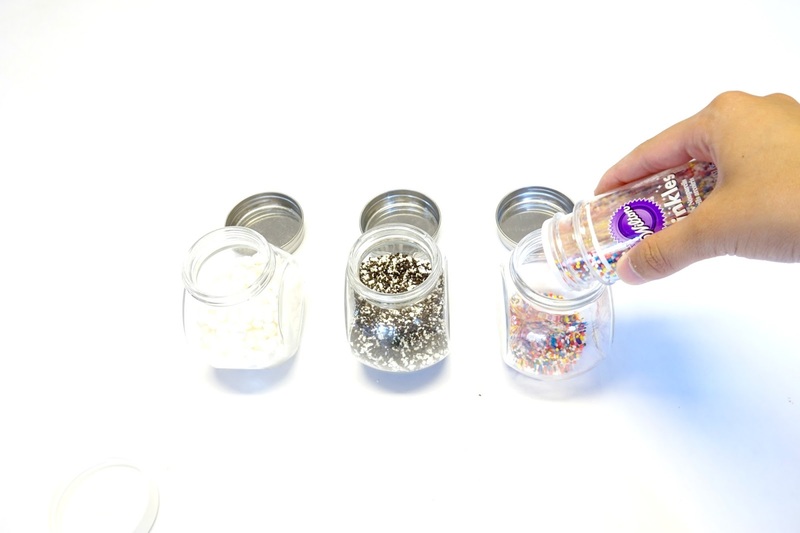 Pour your sprinkles out into small jars. Also have a spoon handy in the sprinkle section for others to use. 3. 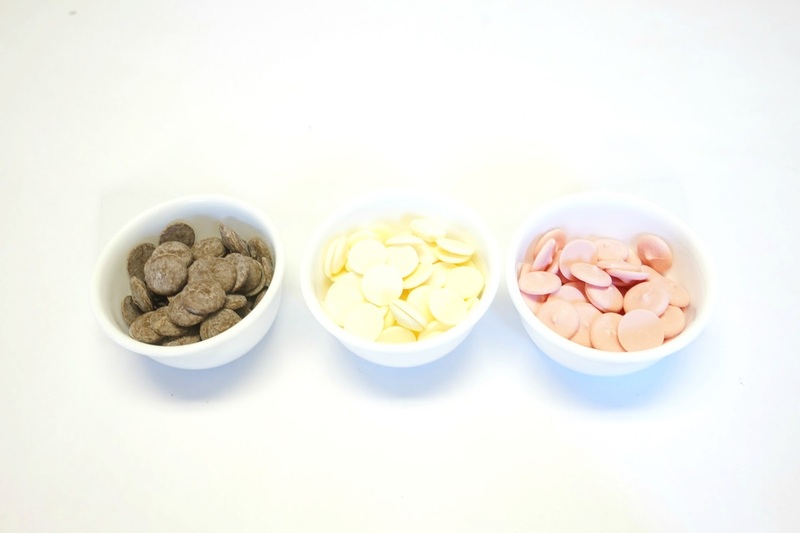 Prepare to melt your chocolate by putting them into a microwaveable bowl. My chocolates took one minute to melt in the microwave. 4. 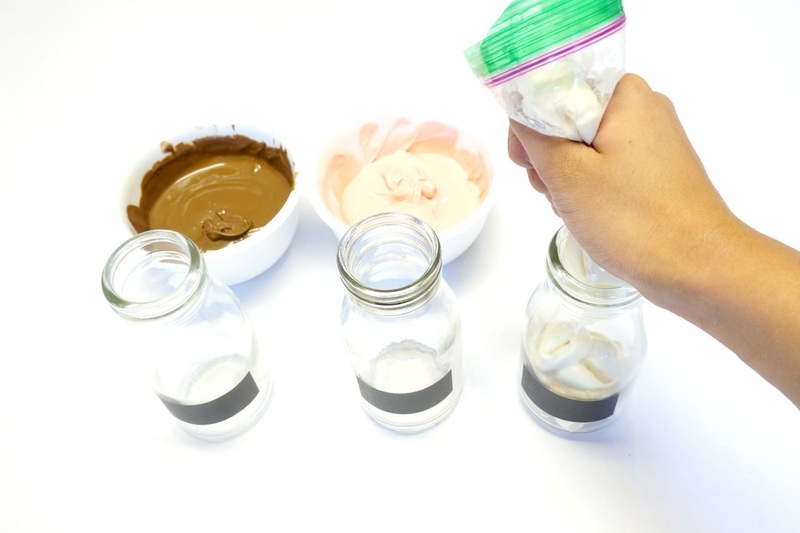 To transfer the melted chocolate into jars put it into a zip lock bag, cut one corner, and squeeze it into the jar. 5. 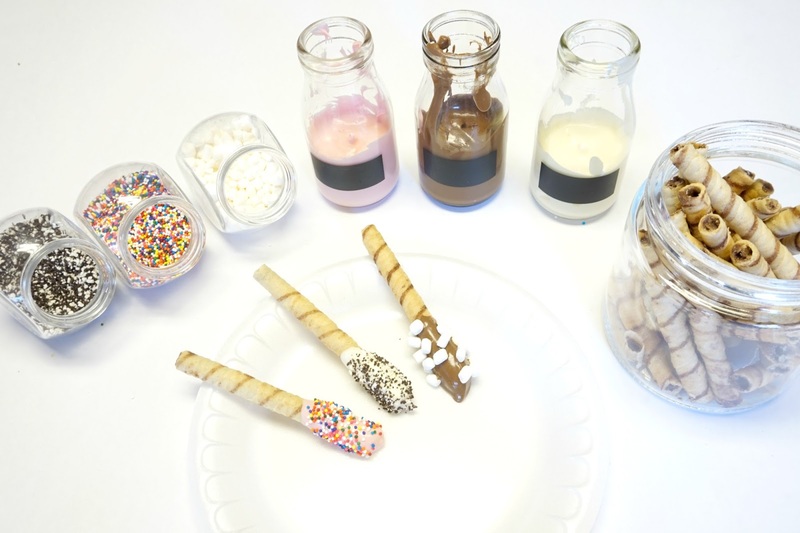 Take a wafer stick, dip it into chocolate, add some sprinkles, and enjoy your sweets! TIPS: The wafer sticks I bought ended up shorter than I expected so choose a jar that is shorter than the sticks so it’s much easier to grab out of. Instead of using jars for the chocolate, I suggest getting small dressing cups so its a lot easier to pour the chocolate into! 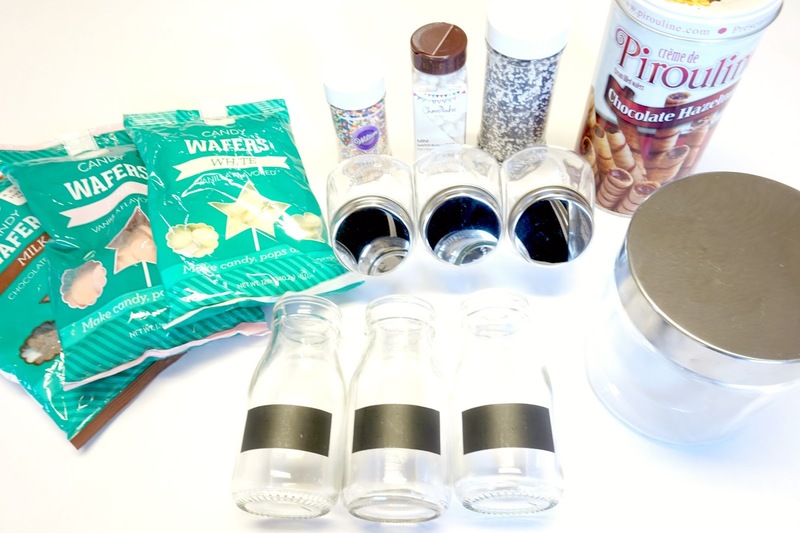 (I had to transfer my chocolate from the bowl to a zip lock bag to squeeze into my jar because it got real messy) I’m here to not just give you DIY instructions and inspiration, but to also explain different techniques to make your DIY boat sail smoothly than mines. What a *sweet* DIY ;) pardon the pun HAHAHA! LOL! You're too sweet ;) oops I did it!